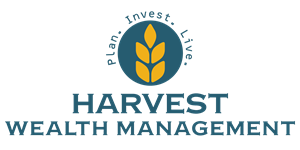 Harvest uses values-based financial planning to build a comprehensive plan that accurately reflects your current needs and future goals. Together, we will establish a series of solutions based on those core values, so that your money will support your life decisions. From education, to career, to family, to travel - Harvest Wealth Management is on a mission to advance your personal and financial well being. Money won’t make life decisions for you - but it can position you to make better decisions moving forward. Our mission is to provide you with supportive resources and customized planning solutions so that you can focus on making great decisions and living a life of importance. Harvest partners with our clients to assess their current financial situation; set reasonable, meaningful financial goals; craft financial plans to achieve those goals; and review and revise their financial strategies. Listen first, and communicate second.